My family thinks I'm crazy that I don't like corn but love corn tortillas and chips. I make no apologies for this idiosyncrasy but traditionalists might want to follow the original recipe and use a can of corn in this tasty and hearty dish. I used some wonderful shishito peppers instead. This recipe comes to us from veganmexicanfood.com and is sized for a 8x8 square baking pan. If you use a 8x12 like I did, add an extra 1/2 cup of beans and don't expect the cornmeal mixture to completely cover to the edges. Saute shishito and bell peppers, onions and 2 garlic gloves in a tablespoon or oil or water for 5 - 7 minutes. Transfer to baking pan and mix in 2 cups (or 2 1/2) of cooked beans. Beans from a can are fine, although I recommend you rinse them first. 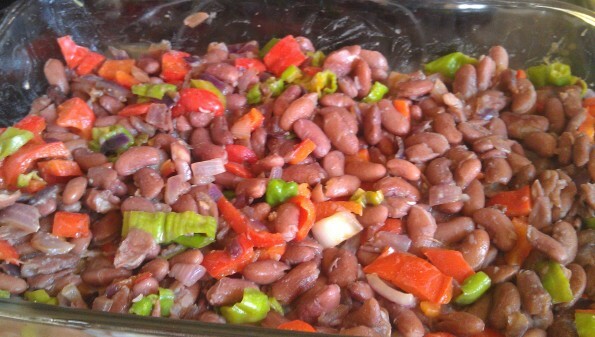 For this dish I used kidney beans I cooked separately. For a more traditional Mexican meal use a mixture of pinto and black beans. 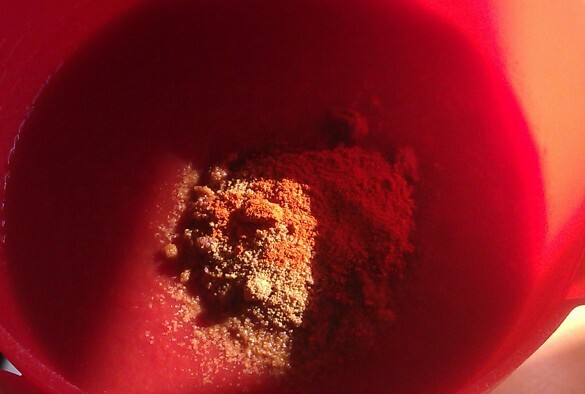 In a bowl combine the tomato sauce and spices: cumin, cayenne pepper and chili powder. Add 1/4 to 1/2 teaspoons of sea salt. Then stir into the bean mixture. In a large saucepan, bring to a boil 3 cups of water. 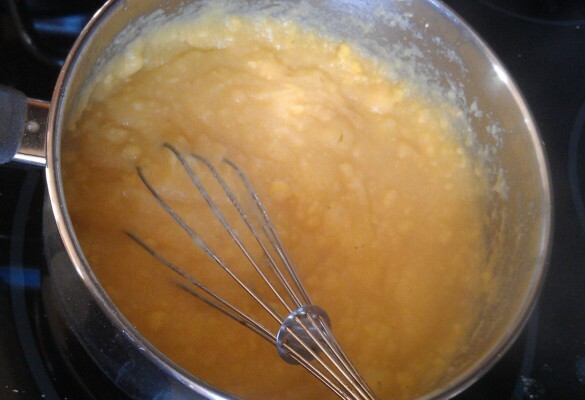 When the water is boiling, stir in the cornmeal, the mustard and lemon juice. Add salt if desired. Bring to another boil and then reduce to a simmer and cook for 3 -5 minutes. 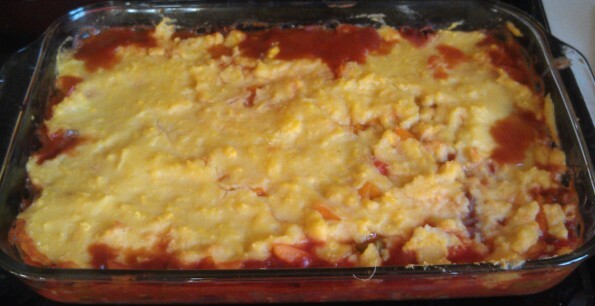 Spread the cornmeal mixture over the bean, peppers and tomato sauce. It will cool and firm quickly so it's best to do it while still warm. An icing spatula may help. Place into the oven and bake for 30 minutes. Let cool before serving. That's it! An awesome Mexican style dinner and no cheese required.